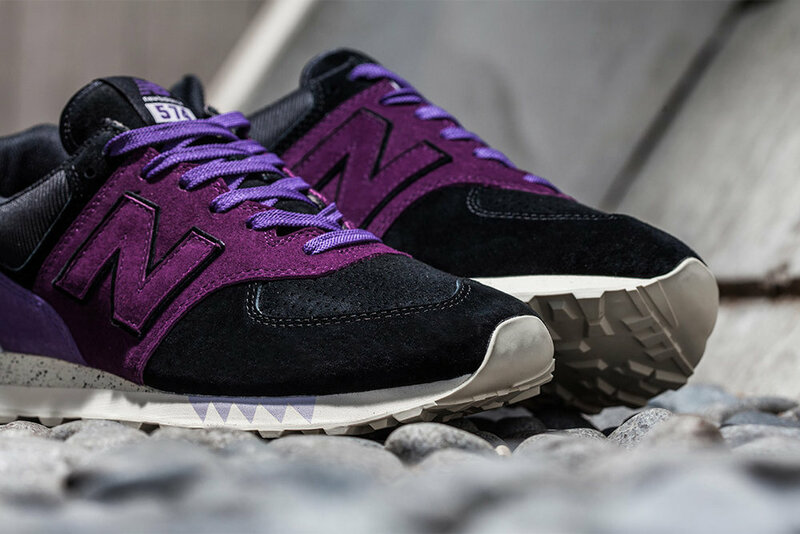 Sneaker Freaker x New Balance 574 "Tassie Devil"
The 'Tassie Devil' is on the loose again! New Balance have resurrected four classic colab colourways to celebrate 30 years of the 574, and Sneaker Freaker's very own Tassie tribute is leading the charge. The 'Tassie Devil' started life on NB's 998 in 2012 to celebrate Sneaker Freaker's 10th anniversary. The aggressive make-up – named for Tasmania's weird and wonderful carnivorous marsupial – featured no less than five shades of purple from lavish lilac to vicious violet. The new 'Tassie Devil' meticulously transplants the original colorway on to the 574. The trusty NB model has been cloaked in suede with a hit of mesh at the rear serving as a throwback to the 998 OG. We even snuck in some reflective material under the perforated toebox for extra pop. Purple beater eaters will be pleased to see all the original shades in check. The new Devil again bears a toothy midsole grin while a smattering of speckles sneak onto the heel for the finishing touch. 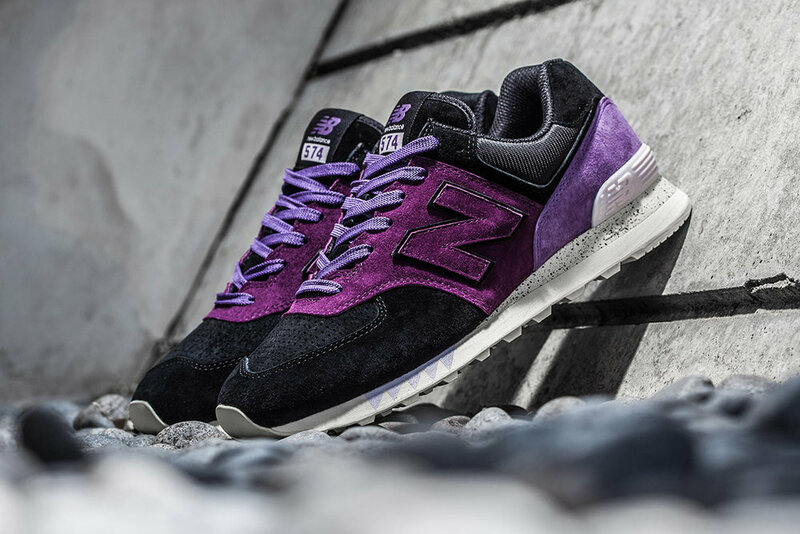 The Sneaker Freaker x New Balance 574 'Tassie Devil' will be available March 1 through the Sneaker Freaker webshop.